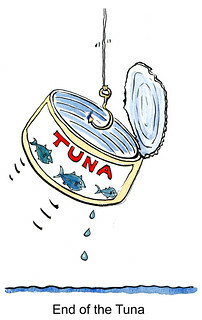 Expiration - This is an estimated date for when the item is expected to go bad and the consumer is expected to proceed with caution. Still, a surprisingly large amount of these can be expanded, with some exceptions. Sell by - That’s for the retailer, not for you. It’s about peak quality, like with flavor. It’s for store display and maddeningly, much of this gets tossed – prompting a “dumpster dive” revolution. Wouldn’t it be nice if people didn’t have to relegate themselves to a dumpster to get this perfectly good food? But in the dump it goes first. Best if Used By/Before and Use By - Again, these refer to quality, not safety. Pack or Born On - This is the manufacture date stamp and often refers to canned goods and beer. Guaranteed Fresh - This is mostly the baker’s way of letting you know how long you can enjoy the baked good before it possibly goes stale. It doesn’t mean it’s harmful, but could be stale. Ask Tess: Do I need to rotate my canned vegetables and fruits in my pantry? Is Urban Bee Keeping Better Than Rural? Ask Tess: How long do canned goods last? It declined even further when schools were required to get parental consent to administer sun lotion or an aspirin to a student. © 2014, Rourke. All rights reserved. Respirator Masks, Do You Need Them? 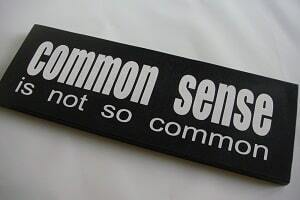 My opinion is yes we do for certain conditions. Example; My home was less than two miles from a forest fire a few years ago and the burnt ash particulate falling from the sky looked like a light snow fall, with every breath you could feel it in your lungs and could taste it in your mouth. At that time I did not have any masks in my prep stocks (I'm more focused on surviving hurricane threats). Either of these masks would have helped especially if I had to be outside for any length of time. We are also, I believe, at the beginning of a climate/weather shift and dust storms and forest fires will become more common in the years to come. Small volcano eruptions can pump out massive amounts of choking dust to name just a few scenarios where a particulate filtering mask would be needed. Live Prepared for them! A simple respirator mask may save you from a lot of health issues and have you breathing easy in dusty conditions. Some people will say just stay indoors. Well for people with live stock or family issues where you must travel outside the home a mask is a very wise choice. Which Mask Do We Need? There are two common prepper types of respirator masks to have in our prep stock. I have these two in my stock. "3M 8511 N95 Particulate Sanding Respirator with Valve". "3M 1860 N95 Respirator and Surgical Mask/Bird Flu". Why does the 3M 8511 N95 mask have a breathing valve and the other 3M 1860 N95 surgical mask does not? The breathing valve only works during your exhale and is beneficial when you're working hard and exhaling/breathing heavily, your exhale will freely pass through the valve and not create pressure that could lift the face sealing perimeter of the mask from your face. During inhale the mask will be sucked tighter about the face sealing you from the atmosphere dust you don't want to inhale. The surgical mask is not normally used in those heavy work load conditions so it doses not have a valve. This mask also serves as a dust/particulate mask. Neither of these masks are perfect, but both are rated 95% efficient hence the "N95" designation. However when you need one these masks they are very good and far better than nothing or a homemade bandana over your face. These masks will last for decades if you simply store them sealed in a Zip-Lock or Mylar sealed storage bags. Just keep them free from moisture that could lead to bacteria growth. Use a zip-lock bag for in the car or bug out bag, a few of them is just smart. There are many masks to choose from. This 3M site will explain in detail how each mask 3M makes including these above will protect you in the environment you must deal with. Since I'm an android fan, these are android apps however many will have similar/same apps developed for your iPhone if you are an Apple user. I have been buying all the popcorn tins and smaller tins that I can find at the thrift store as I recall they are great for storing stuff to keep it away from mice. Now that I have them can you give me some advice as to what is good to store in them and more of what NOT to store in them? How do you label your tins so you know what is in them, since most are bumpy with pictures. I store a huge variety of foods in my tins: popcorn (unpopped), white rice, noodles, spaghetti, rolled oats, wheat berries, sugar, “store” cornmeal, masa harina, pearled barley, dry beans of all kinds, dehydrated fruits and vegetables, bags of chocolate (and other flavors) chips, and a whole lot more. I DON’T store opened bags of brown and powdered sugar as they get hard or clumpy. Left in the bag, they’re fine. Once opened, I store them in glass jars that have screw-down lids. I also don’t store our own fresh ground wheat flour, cornmeal, or brown rice. Whole grain products will get rancid pretty fast. Do you make your own seed starting mix? The purchased ones are always so hard to get moist and I’m wondering if you have a recipe for a better mix. We are in a cold climate, although not as cold as yours! Cracking on our fingers can be a problem and I’m wondering what you do for this. 3 cups lightly packed, peeled and finely grated horseradish (2 to 3 pounds horseradish root) * Take your food processor outside to grate the horseradish. In medium glass or stainless steel bowl, combine the vinegar, salt, sugar, and ascorbic acid crystals. Stir until everything is dissolved. Stir in horseradish. Ladle the horseradish into hot jars, leaving a inch headspace. Using a plastic knife, remove any trapped air bubbles. If necessary, add more horseradish to maintain a inch headspace. Wipe the jar rims and threads with a clean, damp cloth. Cover with hot lids and rings. Process half-pint jars in a boiling water bath for 15 minutes. Makes about 4 half-pints. While I have made my own seed-starting mix, using 1/2 good, sifted well-rotted compost-laden garden soil, 1/4 Perlite and 1/4 vermiculite, I’m now buying Pro-Mix seed starting mix (you can get it from local nurseries and greenhouses, sometimes Menards, too). When you use your own homemade mix, you must sterilize the soil by putting it in the oven in a large pan. This kills any pathogens that may cause disease in your tender seedlings. You need to heat it at 250 degrees F for 15-20 minutes, then let it cool before mixing it with the Perlite and vermiculite. The Pro-Mix is very good and DOES accept the water easily, where Jiffy Mix seed starter doesn’t. Another breakfast food using your long term stored Wheat and Barley Grains. Add the water to the dry ingredients and blend to make a batter. Into the hot skillet add about a teaspoon of shortening, melt it, then immediately add a scoop of the batter and smooth it out. Cook each side until it browns. Serve with honey drizzled on top and they are simply outstanding! What makes these so interesting is the use of shortening to cook/fry them in, gives them a crispy crust like a properly made waffle. I recently attended a conference with speakers who served in EMS and incident command at the Boston Marathon bombing. They gave inspiring speeches about crisis leadership, but something they said got me thinking… They stated that many people used expedient materials to form tourniquets to stop massive hemorrhages from the blast injuries. Many of us, especially men, wear the perfect tourniquet every day… our belts. The problem? You cannot secure most belts down to the diameter of the average sized arm or leg because there aren’t holes that close to the buckle. Considering the increasing frequency of active shooter situations, it would almost seem our duty as preppers to be ready to respond to these types of situations. One easy way is to make sure that you are wearing a “trauma ready” belt that has extra holes drilled closer to the buckle. See the image below to see where you should drill an extra 10 or so holes to ensure that you can secure your belt firmly around an arm or leg to stop severe bleeding. 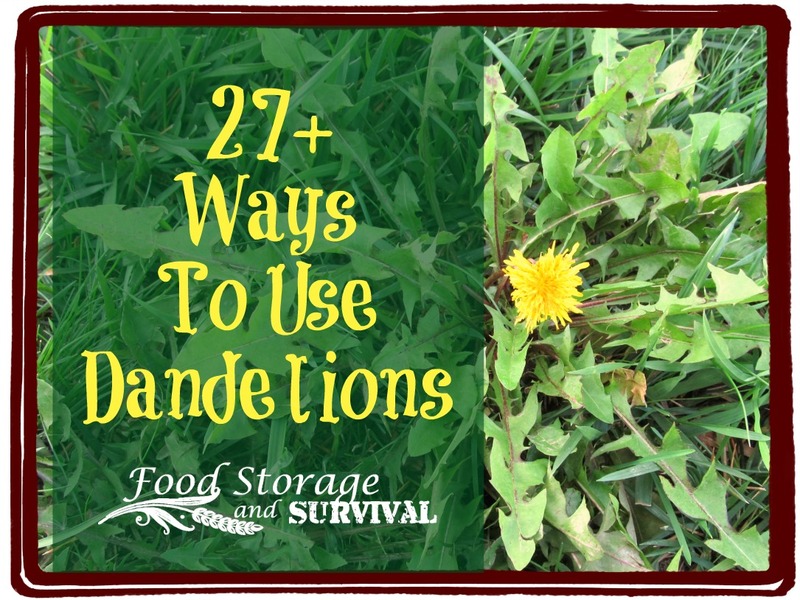 The post 27+ Ways to Use Dandelion appeared first on Food Storage and Survival. Growing food fast is key to survival in any SHTF scenario. While growing most vegetables from seed takes anywhere from 50 to 125 days, re-growing certain vegetables from left over stems can take significantly less time in a very basic hydroponics system. Green onions are one of the easiest vegetables to re-grow in water. However, there is a little more to it than what most “Suzy homemaker” blogs claim. I have found that green onions will re-grow in a glass of water very quickly and successfully by adding just 2-3 drops of all-purpose plant food with each change of water, which should be done at least every other day. This addition of nutrient will help the onions grow fast and healthy. Without this addition, the onions simply won’t prosper because most drinking water if all but void of nutrients needed for plants to grow. However, it’s important to note that too much of a good thing can also be bad, so don’t add more than 2-3 drops of plant food or you will kill your onion. So how quickly will they re-grow? I have found that it takes about two weeks to re-grow a green onion from the stem of one previously used. All you have to do is save the root and about 1-2 inches of the stem. 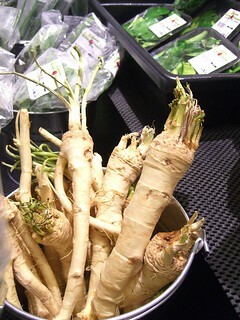 Place the root and stem in a tall glass with the nutrient dense water coming about ¼ inch from the top of the stem. Soon you will have a new set of healthy, nutrient rich onions to eat! Best of all, these stems can be used over and over again as long as you maintain the water and don’t allow any mold to build up on the plant. Our homestead is very small, and in a biggish city, Youngstown, OH. We bought a fixer-upper here about a year ago. The back yard is very small, and it’s on a hillside. Our back and side yard blends into a large park here, Mill Creek Park. I don’t mean a manicured garden park, I mean small lakes, at least one waterfall, wild critters, etc. It’s beautiful! But, while our yard is cleared of most trees, huge, towering maple trees, lots of them, are right on the boundary. So it’s a pretty darn shady hillside a large part of the day. It’s on the north side of the house. Personally, I think we could grow some herbs there, since I have better luck with partial shade than full sun, which seems to burn my herbs up. I think green would grow well there. But what about fruit trees and bushes? When I was young, I found elderberries, raspberries, etc, in the woods, and on the edges of forest and meadow. So I am going to research what I might plant there, since fruit, in and out of season, is very expensive (to me). Sorry I am so long-winded. I see in some catalogs trees that are grafted with a few different kinds of one fruit, such as apples, or even with 6 different fruits, like apple, pear, nectarine, etc. Do you know anything about this kind of tree? Are they a good idea? This would be fruit for the table, since I expect that I wouldn’t get a canning amount of any one of the fruits. Do they produce enough to be worth the space? Are they a hardy, long bearing kind of tree? Yes, your herbs should work in your partially-shaded yard. Many other garden plants from salad greens to even green beans and tomatoes will often work. Yes, some fruits, too, will grow in partial shade. In Michigan I had a pie cherry that grew in the dense shade of a huge weeping willow in the front yard. It produced very well, too! Elderberries, plums, paw paws, and persimmons also grow quite well in shady areas. 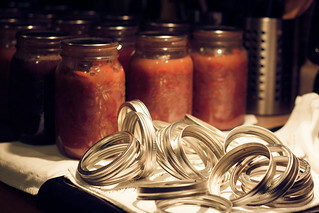 I have been canning for about a year now, careful to follow all of your instructions, and those in the Ball Blue Book. Once I am sure my jars are sealed properly I have re-attached the ring to some of them as a sort of insurance & a way to “store” the number of rings I am collecting. I have recently read that this can be dangerous – that should a jar unseal the ring will hold it on and allow bacteria to grow and re-seal the jar. Is this cause for alarm? Do I have to discard any jars I have with rings on them? A first aid kit is a sensible item which no US home should be without. Your basic kit can treat any number of ailments with just a few simple items, from cuts and sprains to insect bites and allergic reactions. A prepper’s first aid kit, however, is intended to help you stay fighting fit in a survival situation. You should therefore aim to obtain the majority of the following items, which will keep you safe in both a ‘bunker down’ situation and when you’re on the move. Minor cuts and scrapes may not sound like a big deal, but when you’re in the wilderness any kind of trauma to the skin can quickly turn into a much bigger problem. The first kind of items you should have in your kit include band aids, gauze and antiseptic cream. Make sure to include sticking plasters which have some padding behind them, as these are ideal for when you develop a blister and are extremely easy to transport. Sticking plaster will also help you to secure a bandage. Treating a larger wound is often tricky, particularly if you have no medical training. Having the right items in your first aid kit will, however, go a long way to ensuring that a large wound will heal on its own. Your first step is to clean the wound. Many preppers carry water sterilization tablets in their first aid kit for this purpose. Large wounds should be left relatively open in order for infection to drain, but this doesn’t mean leaving them exposed. Your gauze will come in useful here, as will sanitized medical-grade dressings. Top Tip: Many experienced survivalists – both men and women – will often include sanitary towels in their first aid kits. Whilst this may sound distasteful, sanitary towels are super absorbent which makes them perfect for larger wounds. They’re also waterproof and make for excellent padding. Good oral hygiene is vital in a survival situation. Your teeth can be used for a variety of different purposes, and if you end up with an infection in your mouth this can be incredibly painful and hugely debilitating. Dental medic kits can be pre-purchased and contain everything you’ll need to practice dentistry in the field. Make sure you don’t get to the point of needing it, by including a toothbrush and tooth powder in your first aid kit. A can of bug repellent spray and a pair of stout boots are vital items for any serious prepper. But being able to treat a bite once it occurs is also essential, which is why you should always include an EPI-pen, snake bite kit and inhaler in your first aid kit. Malaria pills are also recommended for anyone who lives in an at-risk area. Author bio: Sam Butterworth is a writer and someone who likes to be prepared for any situation. He works for the UK Safety Store – a favorite firm with preppers the world over, thanks to its comprehensive collection of first aid kits and emergency aid essentials. The post Essential Items for the Prepper First Aid Kit appeared first on American Preppers Network. Protecting your home and property is a given. You want the things that you buy and the home that you live in to be safe and secure which has made home security a multi-million dollar industry what with home alarm companies, home protection camera systems, and even private security guards/security companies. Here's some simple, inexpensive ways to safeguard your home. Choose a reasonably safe place to live. If you are moving to a new house or apartment, do a bit of sleuthing around and figure out which neighborhoods are safer than others (start here). Put up a "beware of dog" sign. You don't need an actual dog as the sign itself can be a deterrent. If you like and want a pet, choose a dog. I know that there are dog people and there are cat people but dogs make a better guard/alarm system for your home than a cat. Buy new locks (or re-key your current locks) if it has been a while since this was done, especially if you have lost track of who has keys for your place. See if your neighborhood has a neighborhood watch program. If such a program is available in your area, join up. If it is not available, start one. Get to know your neighbors. Ask them to call you and report anything unusual they see happening at your home and offer to do the same for them. Make sure basic repairs are made ASAP, especially if it impacts your home security. Make sure all window and door locks are secure. Make sure the garage door is secure. Make sure outbuildings can be locked down tight. Replace outdoor light bulbs as soon as you notice them burned out. Landscape for safety. Make sure your doors and windows are visible and not hidden by overgrown bushes and shrubs. Plant roses or other spiky/thorny bushes beneath windows. Light up for safety. Install motion detector outdoor lights around your property. Add flood lights at various places around your property if needed. Make sure you can light up all of the property around your home with the flick of a switch from inside of your home. Hold regular home lock down drills in which your family locks down your home as quickly as possible. Before you leave your home or go to bed at night make a sweep of your home to make sure all doors are locked, necessary exterior lights are turned on, all windows are closed and locked, the stove is turned off, nightlights are turned on, etc. See if your local $1 store or hardware store offers cheap window and door alarms. These are basically two plastic pieces that attach to the door and the frame or two parts of a window. There is a battery which creates an electrical current and if the pieces are jarred or moved a shrill alarm is set off. Set up a fake video security system around the exterior of your home (this is the cheap option and is a slight deterrent). Set up a real, wireless video security system around the interior and exterior of your home (this is more expensive). Many of these systems can be monitored via computer or smartphone. Don't make it easy for burglars/intruders to enter your home (make sure they can't enter through a dog door, can't pull out a window AC unit and enter than way, that you don't leave your garage door open unless you are actively coming or going in this area, that you don't leave your front or back door unlocked--both while you are at home or while you are gone, that you don't "hide" a key outside in case you get locked out, etc). Don't do stupid stuff (like posting your vacation plans on Twitter or Facebook, never changing your alarm system code if you do have an alarm system, leaving a stack expensive looking stuff at the curb on garbage day like a MacBook box, an iPhone box, a box from your new 60" TV, etc). Hide your valuables when you leave your home (ie: stick your MacBook air under the sofa when you leave the house instead of leaving it on the table where it can be seen through a window; if you do have a safe, don't just stick it in your bedroom closet, hide it in the attic under a blanket of fiberglass insulation, etc). Keep your wallet, cell phone, and car keys on your nightstand instead of sitting by the front door or on the kitchen table where someone can see these items through a window or door. Be aware of who you let into your home. Your home can be "cased" for a future burglary by your teenage kid's friends, door to door salespeople, etc. Make it look like someone is always home (don't allow mail or newspapers to pile up, keep the radio or TV on when you leave to make it sound like someone is home, use timers on your interior lights to make it look like someone is home/awake at various times during the day and night, etc). 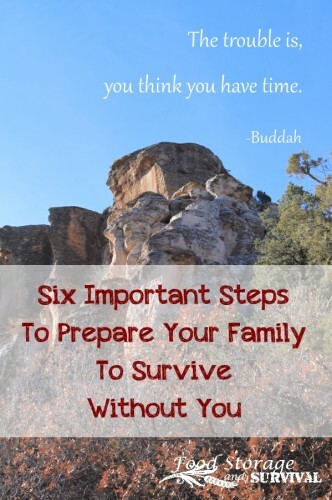 The post Six Important Steps to Prepare Your Family to Survive Without You appeared first on Food Storage and Survival. Maintain distances of at least 6 feet between individuals in your group. Many diseases spread through the formation of tiny droplets of saliva during sneezing or talking or by physical contact, such as hand shaking. Maintaining distance helps prevent these droplets from reaching another person’s nose, mouth, or eyes through the air or by transfer through contact. Every member of the group must continually remind and enforce regular hand washing by all members of the group. Hand washing is especially important after someone covers their mouth during a cough or sneeze. A hand washing should involve warm water, soap, and at least 25 seconds of vigorous scrubbing. Every member of the group must continually remind members of the group not to touch their mouth, nose, or eyes. Regularly disinfect frequently touched surfaces or surfaces contacted by bodily fluids, including knobs, buttons, handles, toilet seats, sinks, eating utensils, etc., with a solution of 1 part bleach to 9 parts water. Bleach is cheap to stock, so stock up! The use of surgical masks helps contain any coughs or sneezes and also serves as a great reminder not to touch one’s own face. Surgical masks are not thought to be sufficient to protect someone from getting infected, rather they serve to contain infections to an infected individual. Boost the immune systems of members in your group by promoting plenty of sleep and taking supplements like vitamin C and D & E, St. John’s Wort, and Green Tea. These supplements boost the immune system, serve as anti-virals, and block cytokines that are often responsible for an overreaction of the immune system that can cause death. For more information on these suppliments and what is known as “cytokine storm,” check out my article entitled “Preventing ‘Cytokine Storm’ Death from Pandemic Flu”. Anyone wearing an N95 mask must put it on correctly and conduct a user seal check. Some key aspects to wearing a mask correctly include: placing the top strap of the mask above the ears over and around the temple areas of the head, placing the bottom strap of the mask below the ears and around the back of the neck, pressing and conforming the nosepiece to the nose by pressing from the nasal bridge down towards the cheeks. Conducting a user seal check by quickly inhaling or exhaling while feeling if any air is leaking between the mask and your face and thus, bypassing the filtering mechanism. Re-adjust the mask until no air can be detected passing between the mask and your face. Gowns should be removed and disposed of prior to removal of gloves. o Gloves should be removed according to the following video instructions http://youtu.be/S4gyNAsPCbU. Disinfect any tools, dishes, or utensils used to care for the individual with a bleach solution. o Wash your hands after providing care. The information, concepts, or opinions from CatastropheNetwork.org are intended for informational purposes only and must be evaluated by the reader, in consultation with a professional, to ensure viability for their individual situation. Most of the time I am not a "sky is falling" type of person. There are times, however, when a little warning is a good thing. So today's warning will be about food. Or the possible lack thereof in the coming year. Start a food garden. Even if all you have is a window sill where you can grow herbs, being able to produce any sort of food for yourself is liberating. Planting a flower pot of lettuce and a couple of tomato plants is even better. Obviously I don't expect that many people will have the space/inclination to grow the majority of their produce but growing a few things is better than nothing. Fill up your freezer. Whenever I find loss leaders or sale meat, I always plan for the future and buy as much as we can reasonably consume within a year or so. Needless to say, the freezer is full of meat and vegetables. Ditto for your pantry. While there are a lot of sale items at the grocery store that we simply don't buy no matter how low the price (processed anything basically), there are times, such as when stores have case lot sales and such, that we make a haul and fill the pantry with canned soup/vegetables/fish/etc. Hit up the $1 store and 99 cent store. There are some items in these stores that you can find cheaper elsewhere but there are usually plenty of items that are a bargain for $1 and deserve to be bought in bulk. Canning, freezing, dehydrating, smoking, etc. Buy a giant, cheap, box of something and experiment. A friend delivered a huge box of bananas that he got on sale for a couple of bucks and said "what can you do with these?" What we did: canned banana baby food. Froze most of the bananas for smoothies and banana bread. You don't want to spend a fortune on something to experiment with but you can often find cheap items that are worth trying to process for your future food needs. FWIW smoked fish is tasty and has along shelf life. Also, canning and jelly making isn't as hard as it seems. Learn how to procure your own food. Hunting and fishing are fun hobbies which also provide you with a lot of protein for little more than the cost of a license and a bit of your time once you have the necessary equipment and knowledge. Learn how to forage. Have you ever eaten a cattail? These plants are prolific in some areas and were once a staple food for many Indian tribes in the Pacific Northwest. There are literally dozens and dozens of edibles that grow wild that can be had for just the effort needed to gather them (warning: know what it is you are harvesting, take a class to learn if necessary and/or go with someone who knows what they are doing until you know what you are doing). Procure seasonally. Old timers probably remember that food used to be seasonal. There was no such thing as a watermelon in January or a fresh tomato in February. You can still flow with the seasons, however, and get dirt cheap prices on food just by buying or harvesting when items are in season (wild berries in late summer, mushrooms in the fall, smelt when they are running, super cheap watermelon at the grocery store in summer, etc). Buy grains in bulk. Dried grains (oats, rice, wheat, etc) tend to have a long shelf life, are easy to store, are cheap to buy (ie: a bag of dried beans are much cheaper than the same amount of beans in canned form), and are endlessly useful. When you do buy/grow/harvest food items to last for a long time (unlike just buying enough groceries to tide you over for a week), learn how to safely and effectively store them for the duration (the LDS folks are genius at this, info here) so you don't waste your time, money, and most importantly the food. I am so glad it is starting to thaw where you live. I’ve always enjoyed reading your blog and articles. I know you can let butter beans dry in their shells, but is it possible to dehydrate fresh shelled butter beans or peas? If so, will the finished product taste more like fresh shelled when rehydrated? Thanks for your help. I hope spring comes early for you. We bought some beef and took all the fat as well (to can for use with dried beans which taste awful without some sort of fat for flavoring). However, how does a person can raw beef fat? You say it’s tallow is not as good as pig fat for making pies and such however I didn’t want to throw it away. So do we render it first and then throw the hot fat in a cool jar and put a lid on it? That should seal itself. Then pressure can it? Or water bath it? What do you think? Or just put the raw stuff into jars and pressure can as for meat? (Probably not recommended I think.) Or process it as you do the bacon by rendering it a bit first and then canning it while it’s still hot? Thanks for your help on this! And spring finally showed up here too! Happily it won’t be a 6 month winter like last year!